What if there was a magical pill that would make your "transgender-ness" go away? I first had this discussion about 20 years ago and likely, you have pondered your receptivity, if such existed. It is a theoretical test to see where one lies on the transgender spectrum. The range that starts with simple cross gender presentation and moves all the way to those who have or will permanently changed - or seek to change their bodies through medical interventions - Gender Reassignment Surgery. Less used terminology (cross-dresser - CD) to transsexual (TS). Note: I love how “Transgender” unites us under the same umbrella term. So let us discuss the magical pill and what it might indicate – This imaginary pill would make you like everyone else. For the CD we would no longer like to cross dress or shop for clothes that would enhance our presentation. You would only have a brown and a black pair of shoes, and a trip to the mall would only mean being there for a mission. For the TS, our body and mind would be at piece; Future planning would not involve therapy visits, obsessing about surgery and transition would only be about going from young to old. I am not talking about hormones, which can change temperament, provide some body changes and even out anxiety. I am talking about the complete elimination of dysphoria by changing the mind. 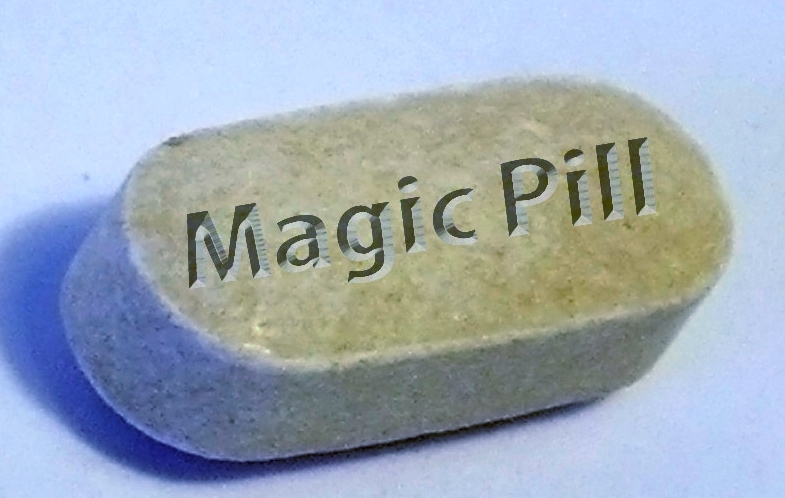 Fact: No “magical pill” exists. Fantasy: If one did exist, would you take it? I will speak for myself: A resounding “NO”. I enjoy my "transgender-ness" and the things involved therein. Has it made my life more complicated, terrifying at times, and distracted me? Yes, to all of the above. If you were to ask some of my family members, they would be feeding me the pill three meals a day. But, overall, I enjoy the excitement, diversity and challenges. There are good friends I would have never gotten to know. There are experiences I would have missed. Am I a typical CD? I do not know, but whenever I have proposed this question in several of the support groups, I have been a part; it has been interesting to see the group divide. Of those, I see to be typical cross-dressers, simply put enjoy being where they are, under the transgender umbrella. However most interesting; those who truly identify as TS see the “magic pill” very differently. They would welcome its existence and would gladly utilize its magical properties. Many TS individuals love the “magic pill” fantasy because they just want to be free of conflict and have the dysphoria go away. Peace between mind and body. I am not at all saying this is the absolute litmus test to diagnose anyone's place on the transgender spectrum. A gross over simplification. However, It is just an interesting question we can put to ourselves as to self acceptance and motivational outcome. However, many who identify as trans do not choose to transition from one end of the gender spectrum to the other; nor choose to dress themselves nor choose their romantic partner(s) based on aggressive gender norms. It is extremely important to recognize that not all transgender individual think one way or the other. It is equally important to acknowledge that many transgender individuals move across the spectrum with time, age, and circumstances. If a magic pill existed would you take it?